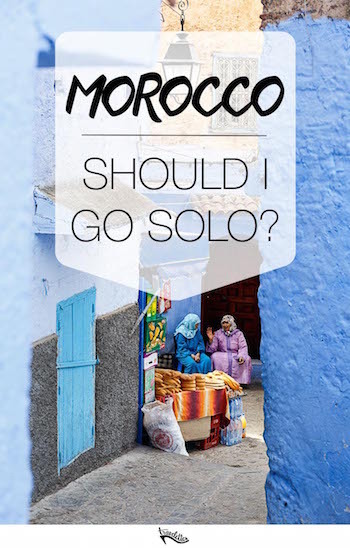 Travelettes » » Solo Female Travel in Morocco: Should I Go Alone? Solo Female Travel in Morocco: Should I Go Alone? It was early evening when my EasyJet flight from London arrived in Fez airport. I remember the pink glow from the sky as I walked onto the tarmac, the smell of spices and exotic lands, and most of all, I remember the feeling of anticipation which sat in my stomach. Welcome to Morocco. It was my first time in Africa, and although I had travelled to almost 50 countries, and travelled solo through India, Russia and much of Asia, it was that fear of an unknown continent which left me wondering what I would find as a solo woman in Morocco. A few weeks before, I had heard that EasyJet had started flying directly to Fez airport, and for only £25 I could be whisked away to an exotic country I had been dying to explore for years. I was instantly sold, but my decision was met with gasps of shock and questions of safety in the country. The fact that Marrakesh is a huge tourism hub, or that Morocco in general attracts over 10 million tourists per year seemed to be ignored. For I would be a woman, alone, in a country with huge differences to my own. I’d heard it before, when I decided to travel alone to India, and so instead of listening to the remarks and queries of people who had never travelled there, I trusted my gut and booked that ridiculously cheap flight to Fez. A few weeks later I was wandering through the medina of this ancient city, wandering the corridors lost in time, feasting on the delights of Northern Africa and being led to tanneries with spectacular views of the city. I loved it all from the moment I arrived, I loved the colour, the exoticness, hearing the call to prayer five times a day, and staying in a marble Riad turned hostel where I met wonderful backpackers from all over the world. I quickly saw that Morocco was much more touristy than maybe people back home expected, even outside Marrakesh, it was easy to find other backpackers from all over Europe, the USA, Japan and Korea. Everyday I wore floor length dresses, sandals and a scarf hung around my shoulders, but I never felt the need to hide my blonde hair as I often had tried to in India and more recently, Egypt. 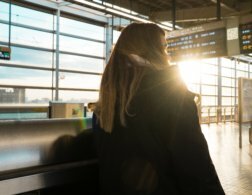 As a solo woman I received respect, space and seemingly less hassle than male travellers or those travelling in couples. In Marrakesh I spent a day with a group of backpackers, and immediately felt much more hassle than I had as a woman alone. I believe this is because as a young woman alone, I am expected to not have much money, so the carpet sellers and restaurant touts tend not to approach me as they would others. I wandered the red streets of the chaotic city feeling safe, and explored the main square at night, eating at local food stalls and having my hands adorned in henna. One evening, when I was with a small group of backpackers I’d met in the hostel, one of the male members of the group had his iPhone stolen from his pocket. Luckily, a local shop holder saw it happen ran after the thief and got the phone back. In a city as big and touristy as Marrakesh, it is important to be vigilant and not leave your belongings in easy to access places. These are precautions you should take anywhere in the world, from London to Marrakesh to Rome to New York City, and are of course nothing to do with being a woman, for the victim in this instance was a 6-foot tall Italian man. 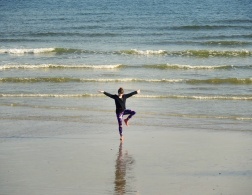 Next I was off to Essaouira, a city full of music, French cuisine and laid back locals. Then it was North to Chefchaouen, a city in the mountains with a blue-painted old medina. I took local buses and night trains between each spot, and always found other backpackers or friendly local families to keep me feeling safe. I headed back to Fez after 10 days alone in this wonderful country, with a heart full of wonderful stories to share with those back home. I had received nothing but kindness from the Moroccan people, and had spent time with wonderful locals, hearing stories of their culture and heritage. However on my last night back in Fez, I heard from three girls who had been travelling the country together that they had received street harassment, and one was even spat at in the street. Their experience travelling the country had been very different to my own, and I couldn’t help noticing the short strappy dresses they were wearing on our Fez rooftop. Although I believe a woman should always have the right to wear whatever she wants, in a country with an Islamic culture where the woman generally cover their bodies and heads, it is important to respect the local culture in order to receive respect back from the local people. I recommend travelling alone in Morocco to every woman, like with everywhere in the world, it is important to adapt your dress and behaviour to that of the local culture, and to always be aware of your surroundings. 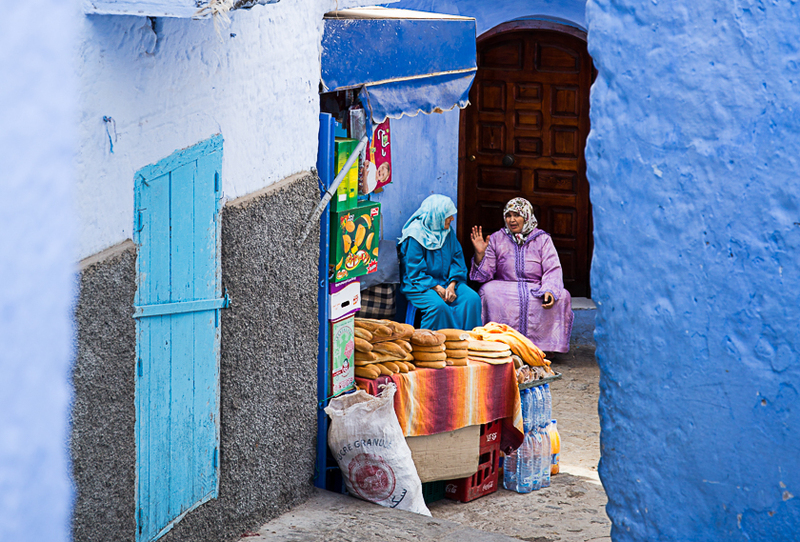 Morocco is a modernising county, however it is still has a strong Islamic culture, which is one of the joys of travelling there, but it also requires you to cover-up and be aware that being a woman alone might not be a common sight. The rewards of travelling in this country far outweigh any hassle you might get. It’s one of the most vibrant, colourful and interesting places in the world, and for Europeans it exists right on our doorstep. So woman of the world, get planning your trip to Morocco! 1. 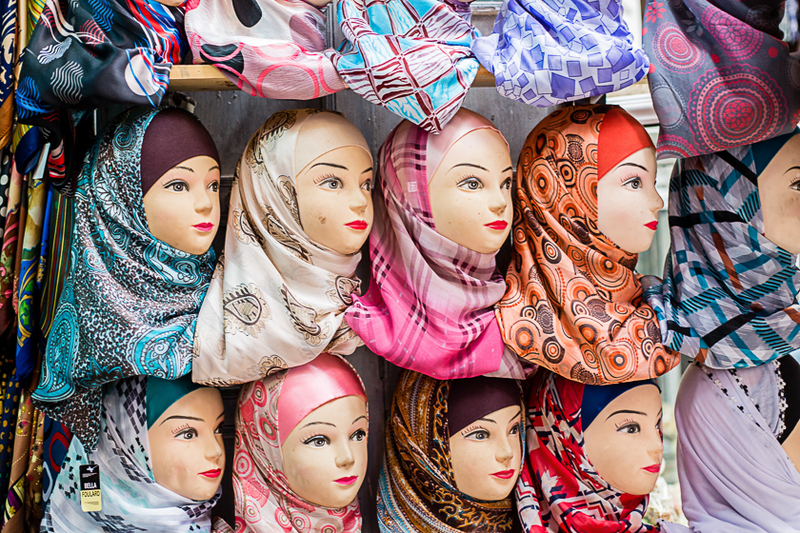 Dress with respect for the local culture– Morocco is an Islamic country, and so local woman will generally wear loose floor length dresses and a headscarf. 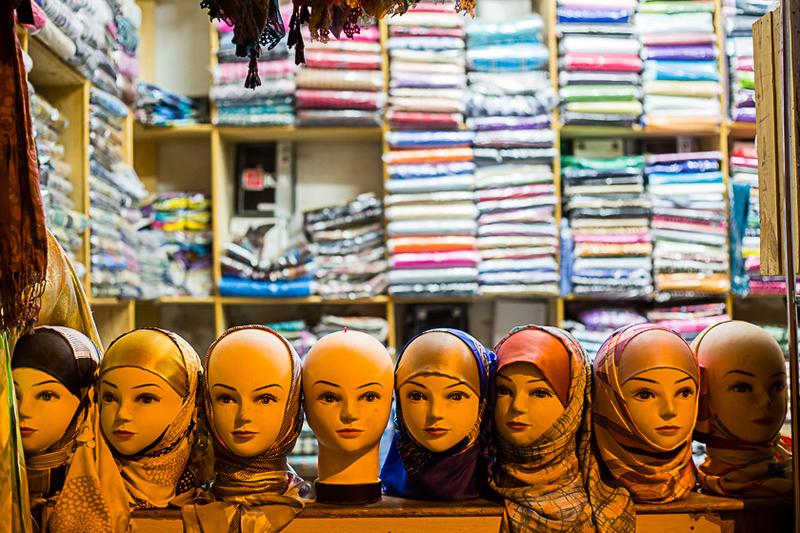 Although the country is used to tourism, it is still important to cover-up, particularly in cities like Fez which receive much less tourism than Marrakesh. Always carry a headscarf in case you decide to visit any mosques. 2. Stay in hostels which have female only dorms– There are a huge array of great hostels and Riads in Morocco. By staying in a hostel with a female only dorm, you are likely to meet other women who are travelling Morocco alone or in a group of females. If you are nervous about heading onto the streets alone, team up and make friends with other female travellers. 3. Mix up your trip with a combination of tourist spots and off the beaten track places- Places like Marrakesh, Essaouira and the South-West Coast of Morocco receive large tourist numbers and it is easier to relax, wear what you like and feel more at home. However, if you only stick to these spots, you’d be missing out on a great deal of Moroccan culture. Adding in places like Fez or Chefchaouen will give you more of a taste of the country after you’ve had a relaxing time along the coast. 4. Carry your belongings close to your person, particularly in Marrakesh where pickpocketing is not uncommon- This is a tip to anyone, not just woman. Marrakesh is a huge city and a tourist hot spot. 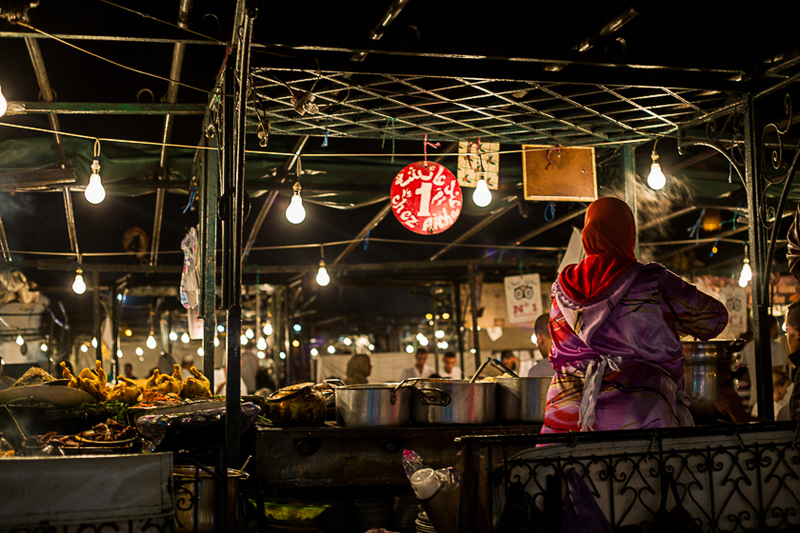 At night, the Jemaa el-Fnaa is packed with tourists and locals and unfortunately that attracts pickpockets. Take precautions like wearing your backpack on your front, carrying your camera around your neck or leave your valuables in your hostel locker or hotel safe. 5. Don’t be afraid of the local men who want to befriend you, it’s most likely they just want to sell you something- Wandering the medinas of any Moroccan city and you’ll receive cries of ‘Hello, Salaam’ from shop holders and walking guides. Most of these men are just looking to sell you something for a little extra income. Stop and take a look if your interested, or politely decline and continue on your way. If you approach Morocco with calmness and optimism, it will give you back the same energy. 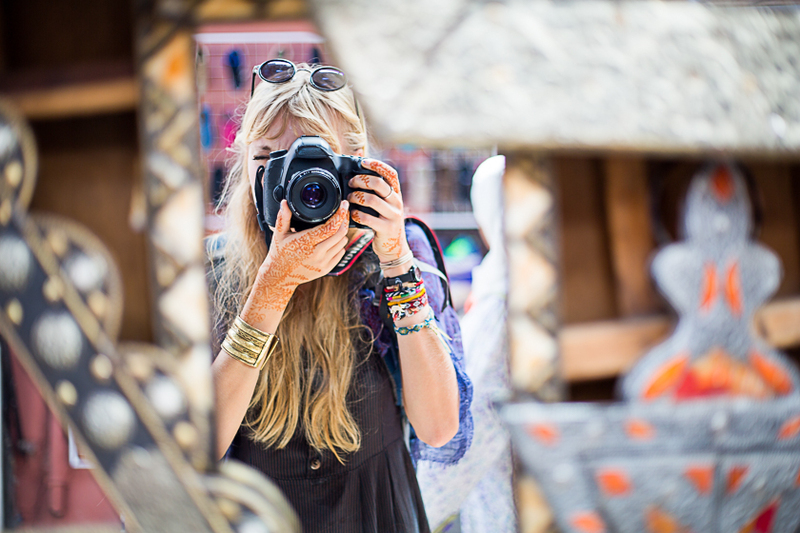 For more on Morocco, check out my 10 day guide to the country! What a beautiful article. Thanks for sharing! We really like your pictures and blog. This is really refreshing story about solo female in Morocco. So far i have only heard from my friends, all females who also did the trip solo, only bad experiences about intruding, sexist and pushy behaviour on every step they took. After reading this i will seriously reconsider doing it on my own with more positive outlook. I was going to travel to Morrocco this year, but from everyone - also people who had been there- I only heard, I shouldn´t as with my blonde hair and as a female alone I wouldn´t be safe. Unfortunately I let them convince myself that it was a bad idea. This just gave me back the intention to go. I'm going to russia alone soon! What should i expect? Have a look at our Beginner's Guide to Russia, http://www.travelettes.net/a-beginners-guide-to-russia/ and feel free to reach out to the guest author Annegret via Instagram @oiskipoisk. Happy travels! Beautiful read, thank you so much for sharing. Currently planning a trip to Spain and Portugal, solo. 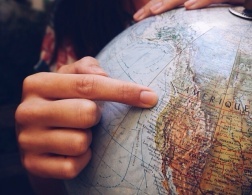 Always wondered about Morocco and your post has many answered questions! What a beautiful article, such a happy and positive vibe! I'm glad you had a good time. I've wanted to visit Morocco for quite some time now but I can't find anyone willing to accompany me, this has definitely inspired me! I couldn't have clicked the link quicker when I saw this blog post title on my Bloglovin feed!! Although I travelled to Morroco with my partner and not alone I didn't once feel unsafe whilst I was there. I found everyone to be incredibly polite from taxi drivers to sellers in the markets. It's all about being vigilant, dressing appropriately for the culture and you will have no problems at all! It could be quite intimidating in the souks with the sellers trying to make a sale but We always found a polite no thank you that they respected our wishes. Such a beautiful place and would love to go back and explore some more! Thanks, Annapurna! That's exactly it - I feel the same way as you did every time I go to Morocco. And yes, agreed - while in an ideal world we can wear whatever we want, it is also the reality not only about being safe but about respecting local cultures which are different here. So please, girls, even in Marrakech, don't be that girl in tiny shorts and a tank top! I wish what you said: "it is important to respect the local culture in order to receive respect back from the local people" also worked vice versa. Meaning, if I live in NYC or Western Europe, I would like not to be yelled at and cat called for wearing short dress or shorts and also maybe see something more of certain women than eyes... Just sayin'. I'm surprised to read this, since I traveled solo to Morocco two years ago and was harassed quite a bit. And yes, I too was covered shoulder-to-toe in loose-fitting clothing. In fact, I even wore a scarf around my collarbone, lest anyone see that super-exciting body part and get the wrong idea. At one point I was grabbed by a bedouin guide in the Sahara and kissed (twice). He also tried it with another, married woman who was on the same tour (and properly covered up). The only place I got reprieve from the harassment was in my private riads (the owners and cleaning staff were always extremely friendly and professional) and in Chefchaouen. I absolutely 100% agree with you. I've travelled to a number of places around the world by myself as a solo female traveler, but I've never felt as unsafe or as harassed as I have in the Marrakech medina. I was fully covered head to toe as well and walking back to my riad at night was terrifying. 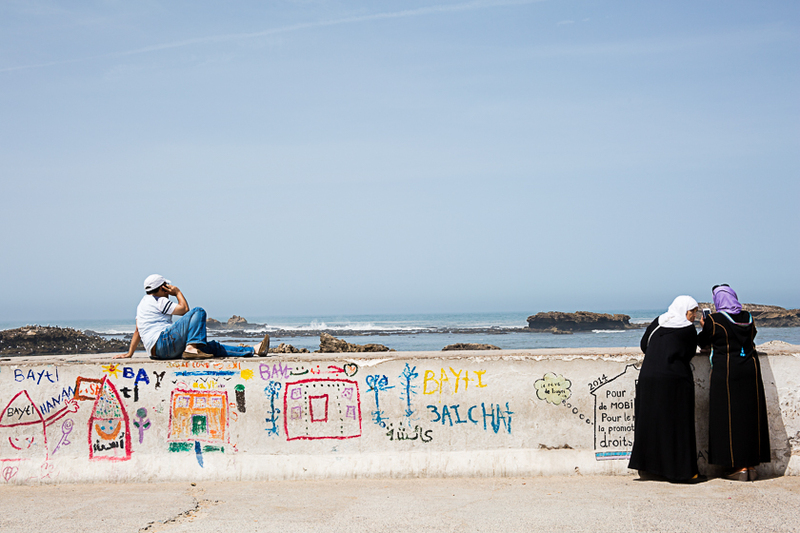 Morocco's a beautiful country to be sure, but I don't believe it's a country for every woman. Even when respecting the customs, the sexual harassment is applicable to all ages. The most fear I felt was actually when harassed by a gang of young boys and teenagers. These are lessons that they've learned from adult men and the patriarchal culture can be a little much. Even with my brother with me in the street, a man came to me and harassed me and when I talked back, he told my brother that he should learn how to control me and that women should be quiet. You can respect the culture all you want, but when women are still considered second class citizens and that's still ingrained in their culture, it's a little hard to adhere to that as a Western woman. Perhaps it was a racial thing as well since I'm Asian? Your article has been the most positive I've read so far about women traveling in Morocco, let alone lone travel for them, so thank you. What I find heartening is how you've acknowledged and highlighted the need to respect their culture and beliefs as being the main reason for ensuring an enjoyable and safe experience. Not many articles do that as they are quick to demean how such strict observations are only an indication of how the country (and so by extension, the religion and culture) really is quite backward despite its accessibility and exposure to modernity. I'm so glad to hear from traveller who are respectful of the culture they're visiting! I've always wanted to visit Morocco but been nervous to do so solo, glad you felt safe doing so!! And I love the idea of a city giving back the energy and feeling you approach it with. Thanks for the post! Wonderful article! Thank you so much. Nice article, I only suggest you, if you are traveling alone be careful and try to take you security. Don't be afraid. Just enjoy and learn some new experience. As much as I loved reading this, I sadly can not agree that Morocco is a country for every woman. I spend a week in Marrakech recently, wasn't even traveling alone but with two guys. I dressed conservatively, floor length loose dress, arms + cleavage always covered (plus the guys where also dressing conservatively)...and still I got harassed a lot. Some shopkeepers literally tried to pull me into their shops, wouldn't let us pass and even insulted my companion (probably a weird way to try and make a sale). It was neither relaxed nor did I expect any kindness from locals. We adapted, respected their culture and I still got cat called. Sadly I can not recommend Marrakech at all. Even Delhi's Chandni Chowk was more relaxing than Marrakech. I guess Morocco is not for everyone. This is a really great post, i do like your blog for a while already. I have a plan to go to Morocco some day soon ! I read your article with excitement. I'm traveling to Morocco for five weeks alone this spring, also to celebrate my 30th birthday in "the wild". I will travel around in the Atlas Mountains and the desert area east of the mountains. I'm thankful for your advices. Of cause I also have been warned against going alone which has left me with butterflies in my stomach. I'll go even though and enjoy every moment with all the precaution necessary. Thanks again for your words - I'll bring them with me in my mind. When I was planning our trip to Morocco we had a list of things we wanted to see but weren't clear how we could fit them all in. We used CITYTOURSMOROCCO for a mix of services to make our vacation great. No one in our 4 person group wanted to drive so they arranged a private driver for us from Tangier to Chefchaouen and then a day tour from Chefchaouen to Fes. Our driver mohadem was excellent! Extremely prompt, patient and accommodating. From Fes we then took the three day tour out to Merzouga, Dades Gorge, ending in Marrakech. Our guide for this section was ismail. He was wonderful! He was extremely knowledgeable about the region's customs, history and traditions. He was very patient with the hours worth of questions we asked him and also very supportive. The second night he even called the hotel to assure we had everything we needed. The landscape of the region was breathtaking! We were extremely surprised at how comfortable and relaxing our accommodations were in the desert. The food was also excellent. Dades Gorge and the tour of the Kasbah Amridil (one of the best tours) were also highlights. In addition to great guides, the office support and planning at CITYTOURSMOROCCO.COM was wonderful. They responded to all my questions within hours and made excellent suggestions on how to facilitate our trip and what we should see. Their communication was excellent! This was one of the best tour groups I have ever worked with! Thank you so very much for your post! I am going to Morocco on Wednesday and Yes, I am Solo female traveler! I am worried a bit, because of the unknown, at the same time I am very excited! I cannot wait to experience Morocco on my own! Morocco is a marvelous Countery, I was very impressed with Iddir who is the owner of Marvelous Morocco Tours and who was also my guide for my three-day tour from Fez to Marrakech. Not only is Iddir incredibly knowledgeable about the area, he is also an experienced and smooth driver through rough terrain and winding roads. He carefully prepares the travel for you knowing when to stop and how long to spend at each cultural site. As a history lover, he will share his insights about the history of Morocco and its current political landscape. I thoroughly enjoyed discussing the history and culture with him during the dinners, and the conversations on the road. The desert trek on the camel was pretty uncomfortable due to the saddle, but the scenery was gorgeous! Hassan , Iddir's brother (the owner of the desert camp) was also very friendly and kind. Hassan cooked an incredible meal, one of the best I had in Morocco! Iddir's family was very kind and welcoming to foreigners. It was a pleasure to meet them! I was a female solo traveler and felt very comfortable throughout the trip. Iddir was very kind to take photos of me at the landmarks. If I can make it back to Morocco, I will definitely contact Iddir ( Marvelous-moroccotours.com ) for another tour! Hey! I'm thinking about going in the winter by myself. Is there a lot of difference? Would you recommendd that? 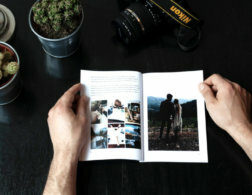 this is an amazing blog, I really like the way you explained everything and here at https://gateway2morocco.com we will be happy to help any traveller looking for a custom Morocco experience. Hard question! Morocco is woth visiting, for anybody, for women also. But, as a woman, you have to carefully organize your trip and choose the people you travl with, to avoid any inconvenience. As a woman, offering taxi service, I am concerned by these issues and can garantee you courteous and safe treatment! I am in Fez right now as a solo female traveller, and as much as I love it here, I must say this post is whishful thinking and far from reality. I’ve been to 65+ countries mostly without any prep, but this time I made sure I have a riad employee or guide or a fellow backpackers joining me, this seems to be the only way I am left alone. I do encourage you ladies to come, but please be aware of the constant harassement no matter the effort you mske to respect the culture here! Also be aware that you will never see local females out in the evening, I would never go for dinner after sunset without a companion! Thanks a lot, ladies, for sharing your experience. I would love to know, Anette, if you found a difference between Fez and other cities as far as harassment is concerned. When you are talking about asking backpackers to join you, are you talking about another woman. Is the experience different when two women are walking together? I heard different points of view, some stating that it makes all the difference, others that it does not change that much and that the level of harassment and catcalling is no less when walking with a female companion. On the whole, did it spoil your trip or was it just a discomfort you managed to deal with?